de Beaudrap, J.R.N, & Roetteler, M. (2014). 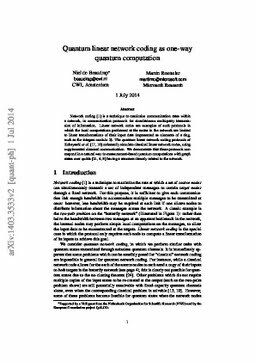 Quantum linear network coding as one-way quantum computation. In Proceedings of Conference on Theory of Quantum Computation, Communication and Cryptography 2014 (TQC 0).